If you’ve ever watched private investigators in a movie, or read an exciting crime novel, you may be wondering how one actually becomes a private investigator. In fact, there are many paths that can lead to one becoming a private investigator, and a career as one isn’t out of reach. According to the Bureau of Labor Statistics, the median pay rate of a private investigator is $42,870. In addition to this, the Bureau of Labor Statistics has stated that the occupation is expected to increase by about 20 percent over the next ten years. This increase far outpaces the growth of jobs on average, and the expected increases are due to heightened security concerns. While you can technically become a private investigator with any type of degree, a Criminal Justice degree is often the ideal method of preparing yourself for the career path. Criminal Justice degrees are issued in many accredited schools throughout the nation, as well as many online schools and correspondence schools. Criminal Justice degrees are very often the same degrees that FBI agents and police officers will need to obtain to develop their careers, and having this degree will help you learn the ins-and-outs of law enforcement, as well as the things that you need to do to keep yourself on the right side of the law. Many states require that a private investigator either have a certain amount of hours working under another investigator or a relevant degree, which means that those that aren’t already working for a private investigation company will usually need a degree simply to get licensed. Private investigators require licensure before working. These licenses are handled by the state, and each state handles their licensing a little differently. The Department of Consumer Affairs in California, for instance, outlines the following requirements for licensure: being an adult, going through a criminal history check, having either experience or education and passing an exam in regards to private detective work. There are study programs for the test that is given, and the exams are different on a state basis. In some states you will be able to apply for a permit to carry a gun as a private investigator, but other states do not allow private investigators to be armed. You will need to contact your state government for more information about their requirements as well as their testing periods, as not all states offer the licensure test throughout the year. When establishing a private investigation career, you will usually wish to work with a private investigation company. You may be surprised to know just how many private investigation companies there are. Many of these companies will start you off doing very simple work, which is usually just locating people for debts and repossessions. However, this work can rapidly become more interesting as you become more skilled and take on higher level assignments. 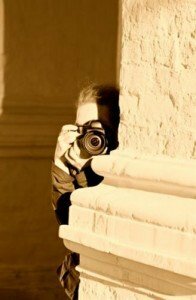 Private detectives can handle a wide variety of work depending on their own goals and desires. Detectives that prefer more sedate, predictable work can simply continue with financial investigations and insurance fraud investigations. Detectives that crave more interesting work can take on security risks and private cases. While being a private investigator is usually not always how it is seen in the movies, it can still be very exciting. You will also likely need to be called into court many times throughout your career, and you will sometimes be able to work together with local law enforcement. If you want to become a private investigator, you can enroll in classes either online or on campus to get your degree in criminal justice, Once you have this degree, you will be able to sit for your private investigator exam and begin your new career.